On 24 November 1793, four years and a few months after the storming of the Bastille, Jean-Jacques Ampère, a prosperous Lyon silk merchant linked to the Girondist party, climbed the final steps to the scaffold. Arrested, tried and sentenced to capital punishment, on that day he was guillotined, one more victim of the vagaries of the revolution. The death by guillotine of his father, to whom he was very strongly attached, had a profound affect on the young André-Marie Ampère (1775-1836), then 18 years old, plunging him into a deep depression that kept him isolated for several years on the family’s country estate, ten kilometers from Lyon. There, almost completely cut off from the outside world, almost like a person possessed, he devoured his father’s magnificent library. André-Marie Ampère was a child prodigy educated under the influence of the philosopher Rousseau, of whom his father was a fervent follower. Thus, adhering to the ideas set out in Emile, André-Marie never went to school, except to teach classes himself. After several years teaching mathematics, he held the post of professor of physics and chemistry at the Central School of Ain (Bourg-en-Bresse) until 1804, when he became professor of mathematical analysis at the École polytechnique in Paris. In 1808, Napoleon appointed him inspector general of the French university system (a post he held until his death) and in 1814 he became a member of the French Academy of Sciences, in the geometry section. In contrast to his professional career, his personal life was complicated and very difficult, with moments like the death of his father by guillotine, the death of his first wife, separation from his second wife, etc. 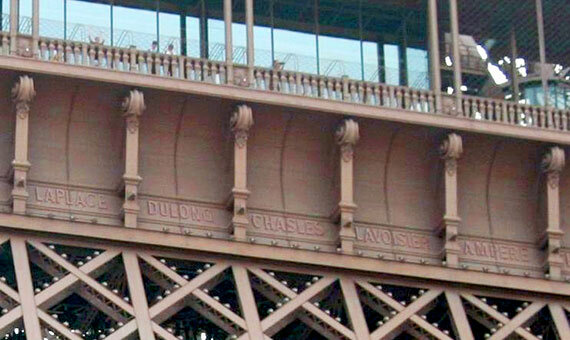 Ampère is one of the 72 illustrious French scientists and engineers whose names appear over the four arches of the Eiffel tower, including Foucault, Fourier, Fresnel, Laplace, Lavoisier, Malus and Poisson. André-Marie showed a great capacity for mathematics and worked on optics and chemistry. In fact, he can be considered almost an important chemist, since he almost discovered chlorine, almost discovered iodine and almost discovered Avogadro’s law, which, unbeknownst to him, had been stated 3 years earlier and so in France is also known as Avogadro-Ampère’s law. Although he made contributions of some importance in mathematics (algebra, mathematical analysis and calculation of probabilities), undoubtedly his greatest contribution was made in the area of electromagnetism, at the age of 45 years. 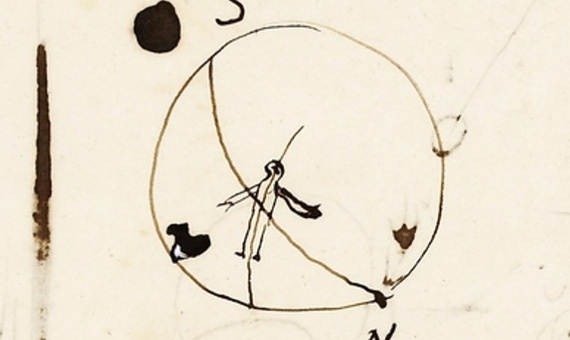 “This little man is placed in the direction of the current (the current runs through his body from the feet to the head), the man looks at the point that interests us and extends his left arm so that it indicates the direction of the magnetic field”. Ampère’s “little guy”. Credits: Ampère Collection. Archives of the Academy of Sciences, Paris. In another of the sessions given to the Academy, Ampère announced a new finding: it was possible for there to be mutual action between currents without the intervention of a magnet. Two parallel wires carrying electric currents attract or repel each other depending on whether the direction of the currents is equal or opposite. Shortly after this Ampère formulated the mathematical expression that explained these forces between electrical currents. In 1826 he published “The Mathematical Theory of Electrodynamic Phenomena Deduced Solely from Experiment”, a book in which he states that “magnetism is electricity in motion” and “magnetic phenomena depend only on the existence and motion of electrical charges”. Ampère explained the existence of permanent magnets, introducing the idea that the magnetism of permanent magnets is produced by a small current at molecular level, which he called an electrodynamic molecule and which results in a surface current, la Ampere current, similar to the real current flowing through a solenoid. Thus, all magnetic effects are due to the movement of electric charges, both at the macroscopic and microscopic level. The ampere, the unit of electric current intensity, one of the basic units in the International System of Units, is so named in his honor. “The experimental investigation by which Ampere established the law of the mechanical action between electric currents is one of the most brilliant achievements in science. The whole theory and experiment, seems as if it had leaped, full grown and full armed, from the brain of the “Newton of Electricity”. It is perfect in form, and unassailable in accuracy, and it is summed up in a formula from which all the phenomena may be deduced, and which must always remain the cardinal formula of electro-dynamics». 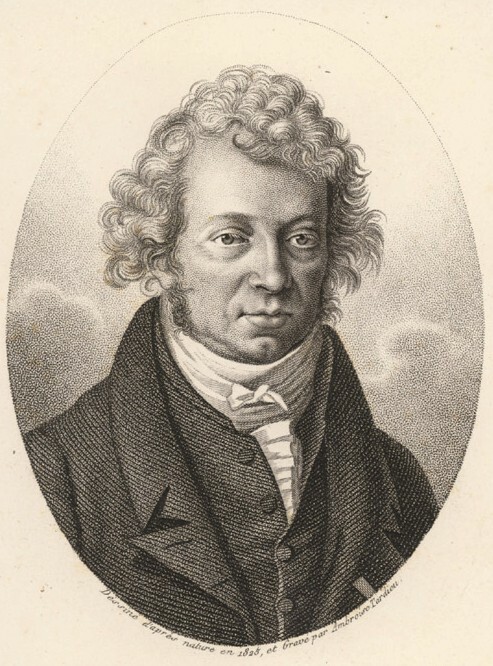 André-Marie Ampère died on 10 June 1836 in Marseille, where, despite his poor state of health, he had traveled to carry out a university inspection. He is buried in the Montmartre cemetery in Paris, in a tomb that he shares with his beloved and admired father Jean-Jacques. Beléndez, A., “Electromagnetic Unification: 150th Anniversary of Maxwell’s Equations”, Mètode, No. 84 (2015). The Mechanical Universe. Episode 35: “The Magnetic Field” (CALTECH, 1985). André-Marie Ampère, Wikipedia (Consulted April 19, 2017).